Himalayan Salt is a high quality crystal salt and contains 84 original minerals and trace elements. To be used in the kitchen for delicious cuisine as well as for cleansing nasal rinse as used in Ayurveda. 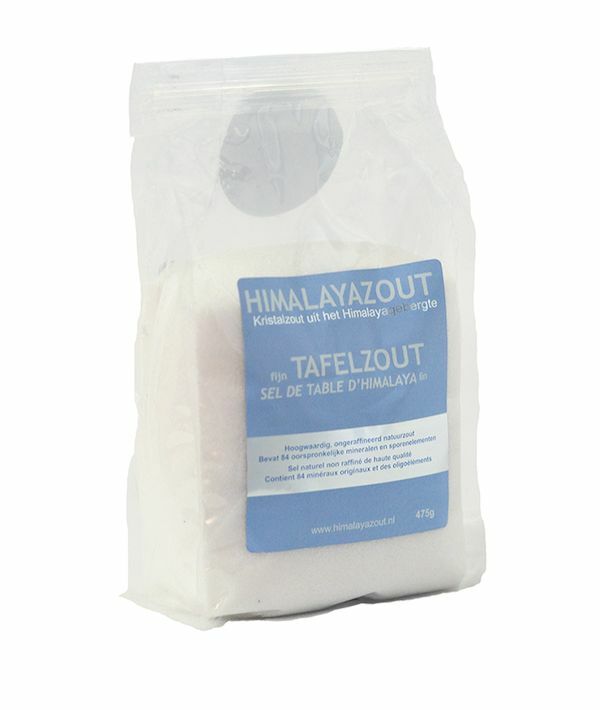 This crystal salt from the Himalayas is among the best in the world when it comes to high-quality crystal salts. It is traditionally extracted and unrefined natural salt. It contains 84 original minerals and trace elements. The soft flavor of Himalayan Salt enriches your dishes in a natural way. 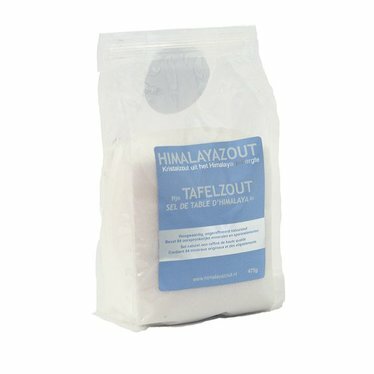 This fine salt is also used outside the kitchen as a Ayurvedic purifying and cleansing nasal rinse with the neti pot. Pink Himalayan Salt is not suitable for internal use. Look here for the netipot. White fine Himalayan salt is ideal for cleansing the nose in a natural way. Used on a regular basis, it ensures good air passage in the nose, which is very favorable for Pranayama during yoga practice. In addition, nasal cleansing helps to prevent or soften pollen allergy, sinus problems and colds. Use a teaspoon of salt per flush, loose very well in lukewarm water and pour the salt water solution in the neti pot, which you then put to your nose. Use 1 neti pot per side, means so that, for each side, a teaspoonful amount of salt dissolved in the amount of water that will fit in the neti pot. The salt has an unlimited shelflife. Salt naturally attracts moisture, to keep it for that reason in a dry place.